I received some questions regarding my last year How to build a home studio post. 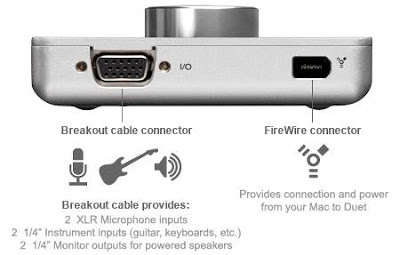 My readers asked me for the best Mac audio interface. I did some research for you guys and I have a solution: Apogee DUET 2. The interface is small, is compatible with Mac and provides great performances. Apogee Duet 2 is the best solution that money can buy if you plan to create and record music using a Mac computer or laptop. This audio interface allows you to record vocals, guitar, bass, keyboards, drums or other musical instruments – everything at top-notch studio-quality! Apogee Duet 2 is portable, so you can record and mix your music whenever and wherever inspiration strikes you. The Apogee Duet 2 engineers packed the latest technology in this audio interface. There is no doubt, Apogee is one of the best mobile audio interfaces out there, and you can hear this if you compare Apogee’s sound with other portable audio interfaces. From the preamps converters, Duet 2 allows you to capture sound with more clarity than the original Duet. The audio interface features an OLED screen (Organic Light Emitting Diode) that is used as the interface’s control center. It provides visual feedback for multiple functions, such as numerical value for the input and output. Apogee Duet 2 also introduces two configurable touch pads, located on both sides of a main potentiometer. 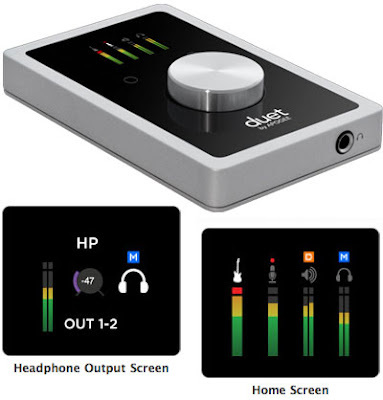 This unique feature allows you to select the function you need directly from Duet 2, without the need to look at software.